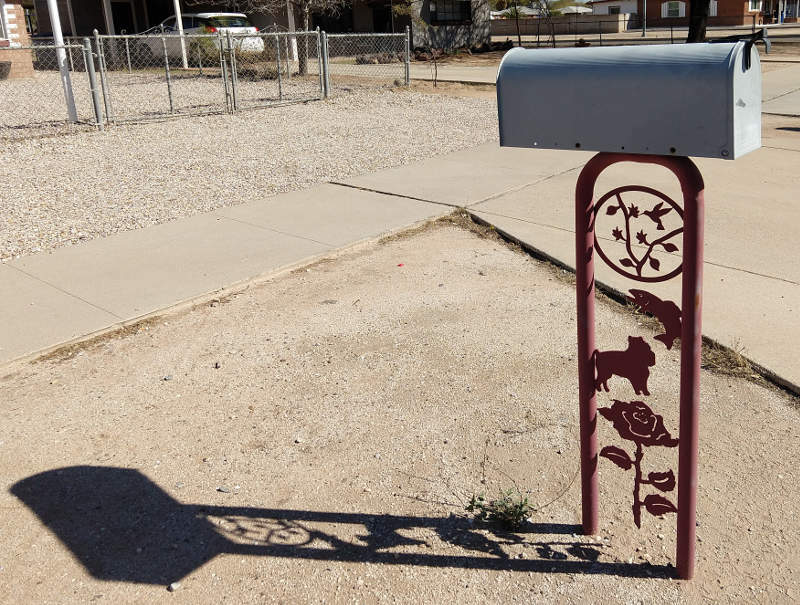 Here's the second of three mailboxes in this corner of a block near Tucson Boulevard. Last week's entry showed a mailbox across the street with the same kind of design: cutouts between two posts. I found this bunch of boxes on February 23rd.